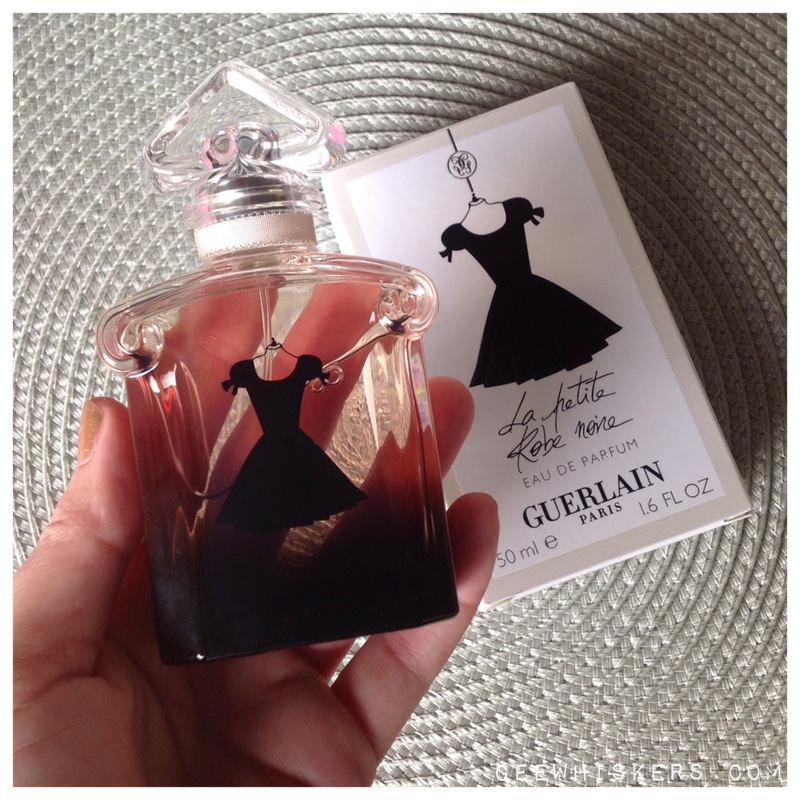 Guerlain's La Petite Robe Noire / Gee Whiskers! When it came time to choose a perfume for my wedding I really struggled. Each perfume I own has so many special memories for me, because I get most of my perfumes as gifts. Around the time of my wedding Nicole (Princess Noo) and Bronwyn (Mother City Mom) sent me a perfume as a wedding gift, Guerlain's La Petite Robe Noire. I was beyond thrilled when I opened this. This is another perfume I have had on my wish list for years now. The perfume has top notes on jasmine, rose and green accords; with a heart of black cherries, orange blossom and apple. The base contains white amber, white musk and patchouli. The scent lasts well throughout the day and settles on a warm powdery musk by the end of the day. If you are going out after work I do however suggest that you give yourself another spray to refresh the fragrance. I wore this on my wedding day to carry Nicole and Bronwyn with me on the day. Every time I wear this perfume I am not only reminded of my special day, but also of my two very special friends. Nicole and Bronwyn, thank you again for this beautiful gift. The packaging is super adorable!